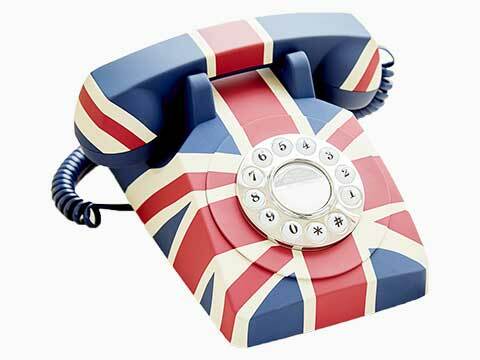 Creating a brand for your hotel & hospitality offering is achieved by much more than a logo or glossy mag. 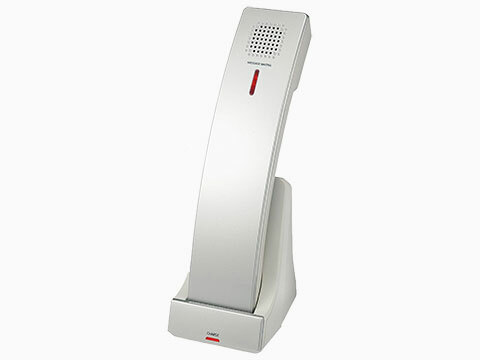 Your guests will remember you by the sights, sounds and smells that they experience. 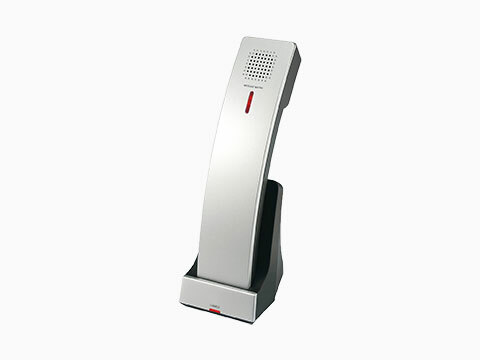 NB Data have a unique range of products designed to improve the overall guest experience whether it be in the guestroom, lobby, spa or restaurant. 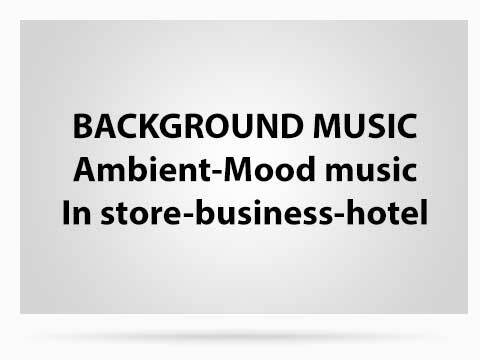 Create a memorable ambience with soothing background music and your own brand or signature fragrance from our huge choice. 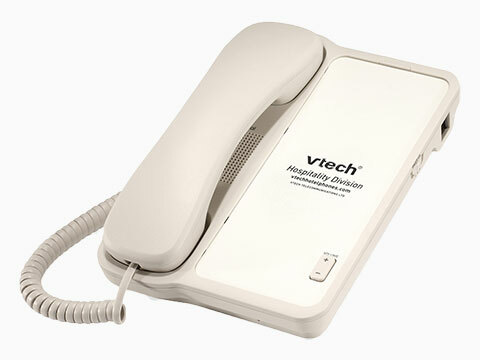 Guest rooms and lobby are frequented by many people and cleanliness is paramount so our range of new Vtech anti-bacterial phones are ideal to keep germs at bay as well as being modern, attractive and robust. 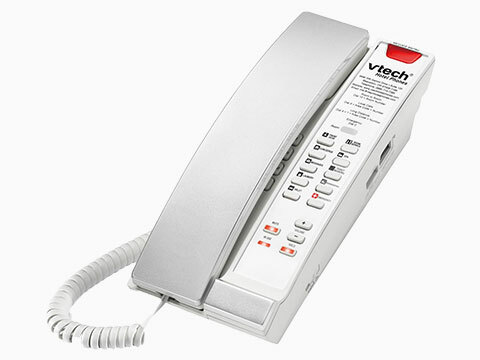 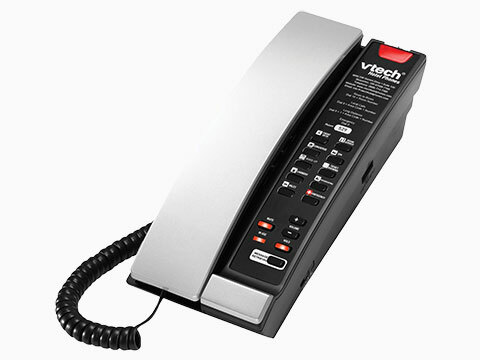 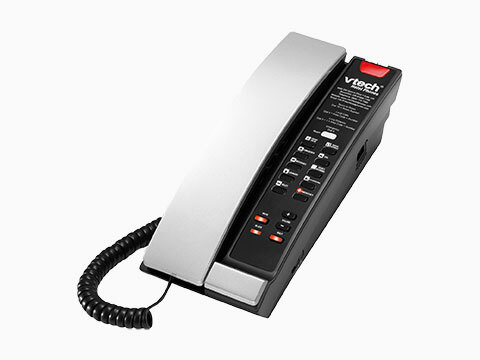 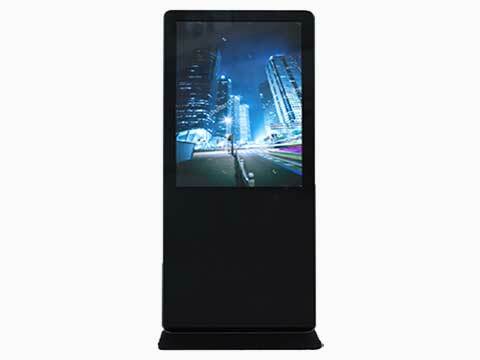 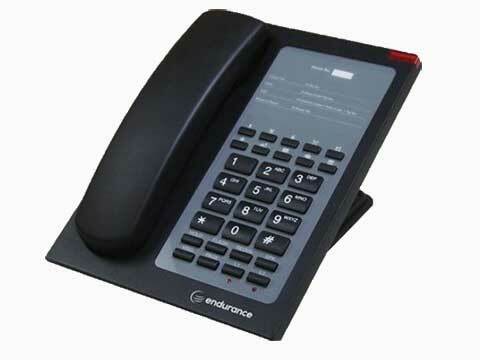 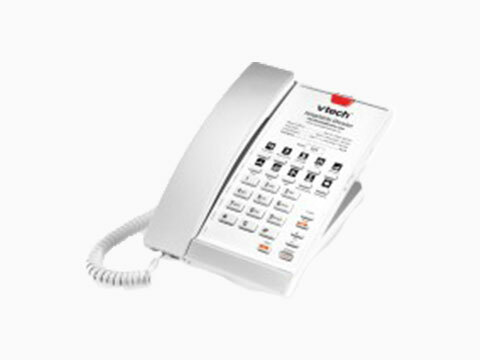 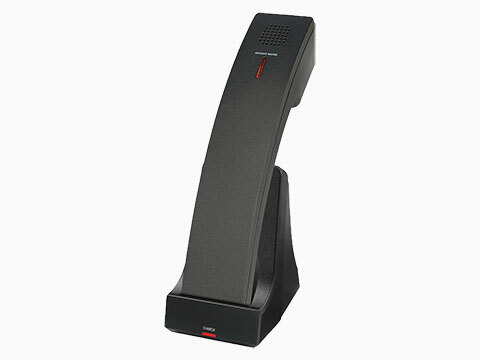 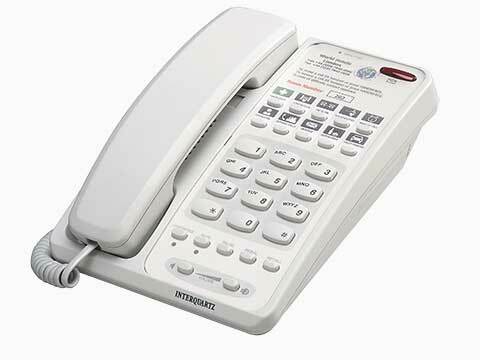 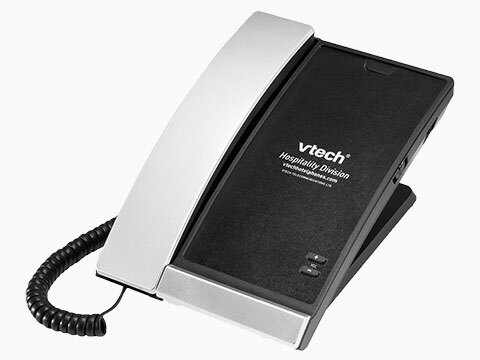 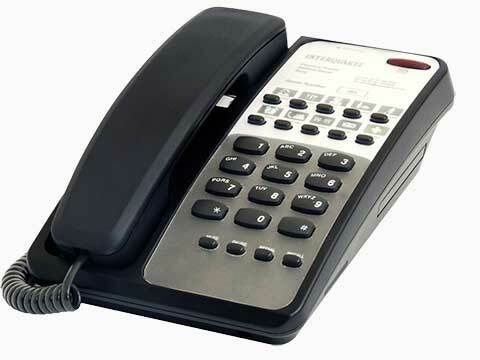 Our hotel phones from Vtech and Interquartz also have customisable faceplates to advertise your hotel brand. 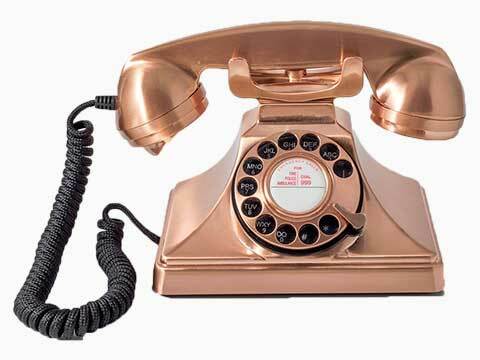 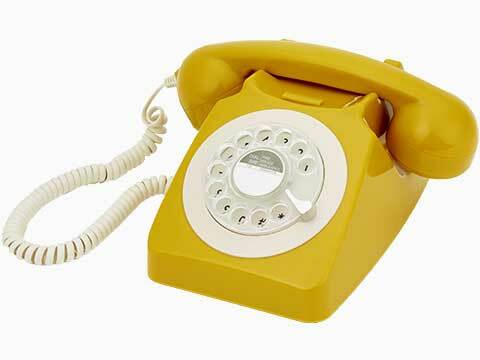 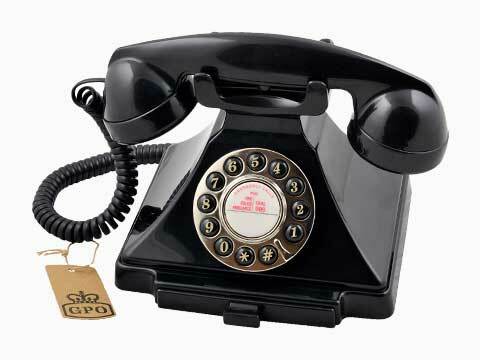 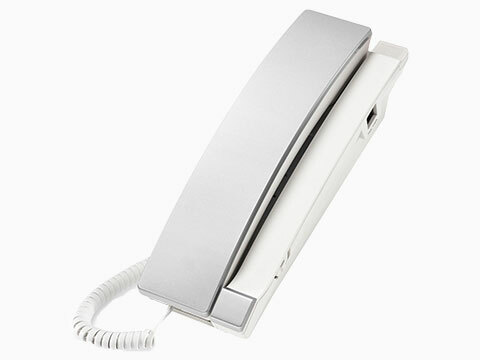 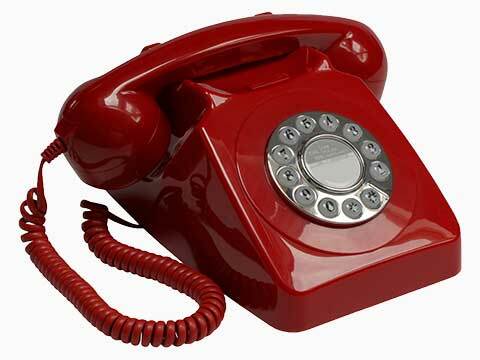 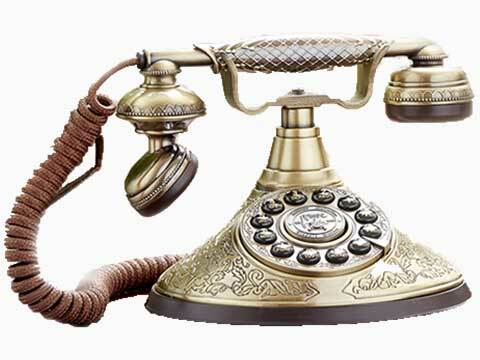 Create that boutique effect and compliment colours scheme and design with one of our range of Retro telephones. 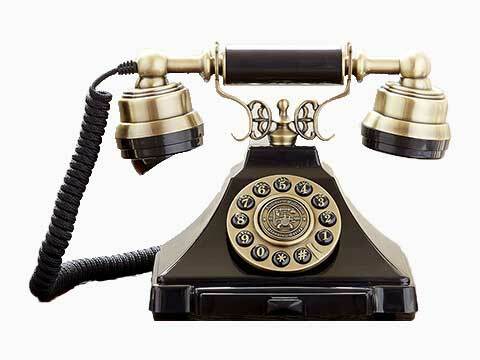 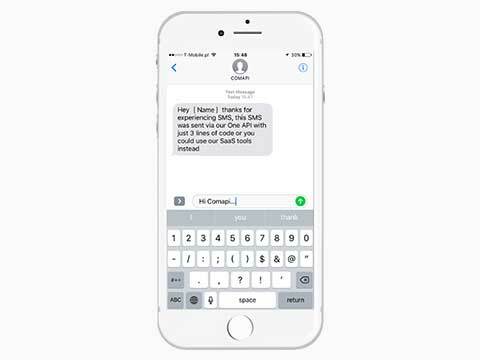 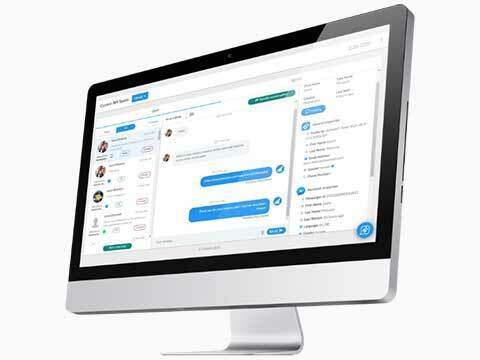 But the customer experience starts before the visit so the booking call can be recorded and if you must put your customers on hold why not play soothing music and advertise your services? 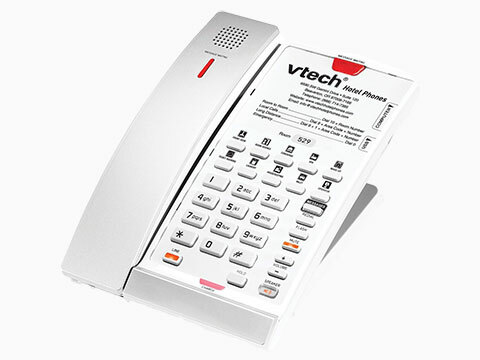 All this is possible through NB Data’s specialist Hotel & Hospitality team on 0161 7672540 or chat to a live person through our web chat feature which can also be offered as a service on your own website..
VTech's range of anti-bacterial corded and cordless phones are designed to complement a variety of interiors and the unique needs of the hospitality and hotel industry. 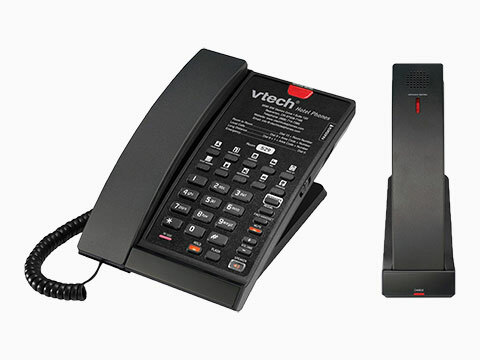 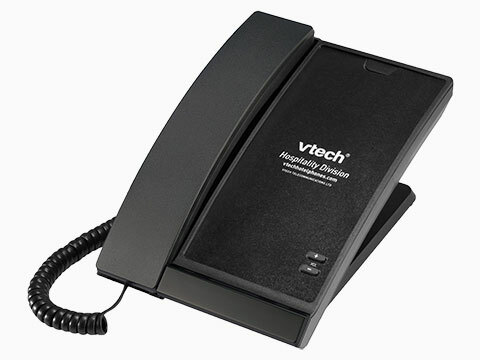 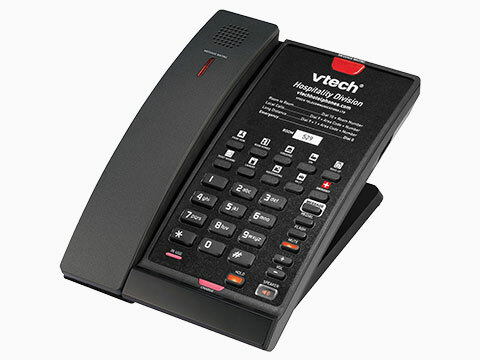 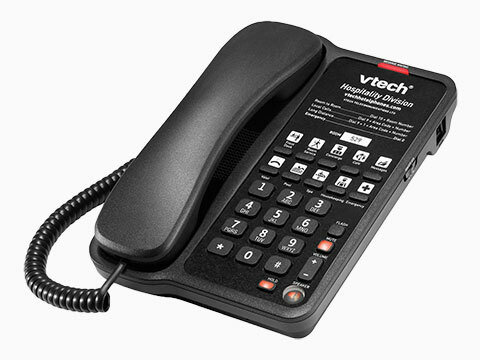 Vtech is the world’s largest manufacturer of cordless telephones and invests significant resources into their range of SIP Business phones, conferencing phones and now a unique range of anti-bacterial phones to offer practical solutions for hotels, hospitals, care homes and more. 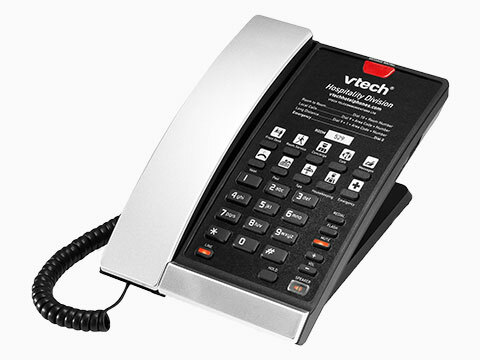 Read about the Vtech Advantage. 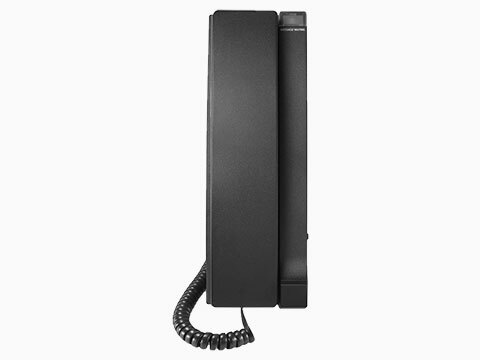 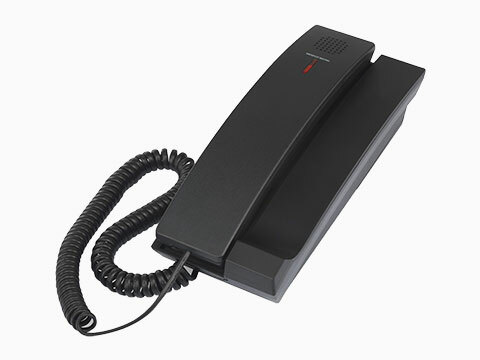 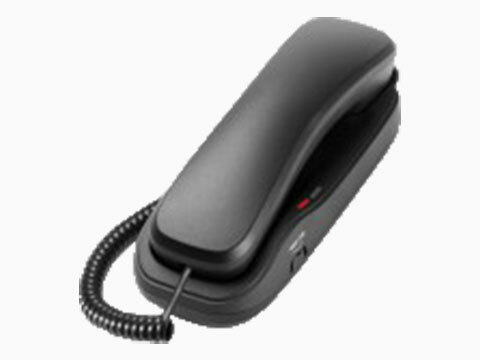 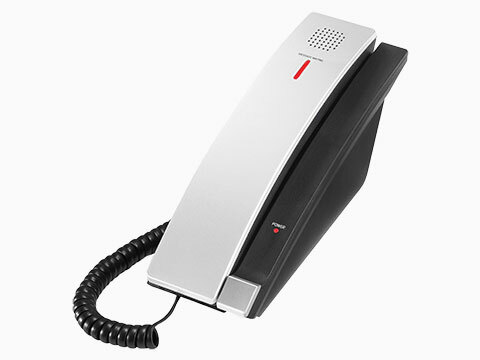 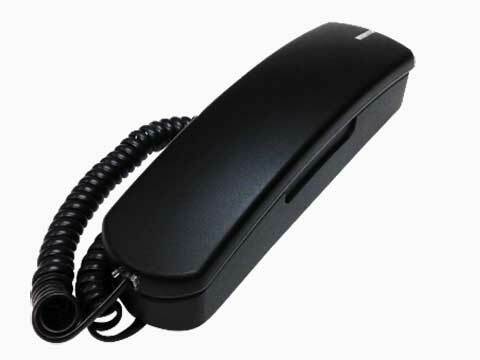 Interquartz Corded & Cordless Telephone Hotel Handsets are also the phones of choice in the Corporate, Financial, Health, Government, Educational, Industrial. 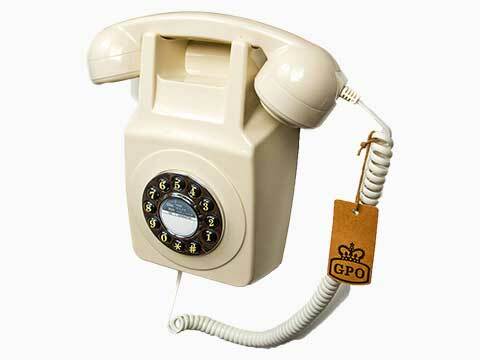 NB Data’s sister company manufacture a range of classically designed Retro Phones under the GPO (General Post Office) brand name.